If you've been reading my blog for a while, you probably know that Skinfood is one of my favorite skincare brands. I've been using their products for many years (I used to order them directly from South Korea on Amazon) and I'm so excited that they're now in all Ulta stores. It's such a great feeling to know that when I run out of something, I can easily just run down to Ulta and pick it up...no more international ordering and waiting a month to get them! 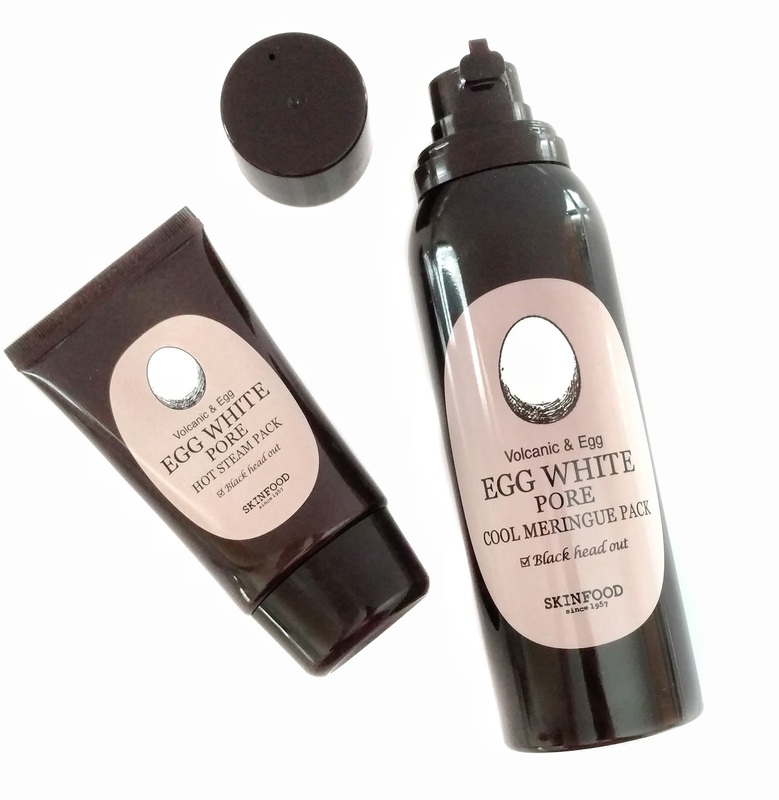 To celebrate the Ulta launch, Skinfood was kind enough to send me two of their newest products to try...the Egg White Pore Hot Steam Pack ($13) and Egg White Pore Cool Meringue Pack ($18). I've been testing them out for the past month or so and I'm ready to share my thoughts with you! The Hot Steam Pack is a mask that claims to remove stubborn black heads and excessive oils, while deeply cleansing, removing dead skin, and addressing dryness. It has a creamy, mud mask texture with little salt & sugar grains suspended inside and it also contains fruit acids (papaya, orange, apple and lemon) to help exfoliate your skin. Amino Acids such as Arginine contain antioxidants and help to calm and soothe. It has a very light, fresh scent that I happen to like but if you're sensitive to fragrance I wanted to put that out there. 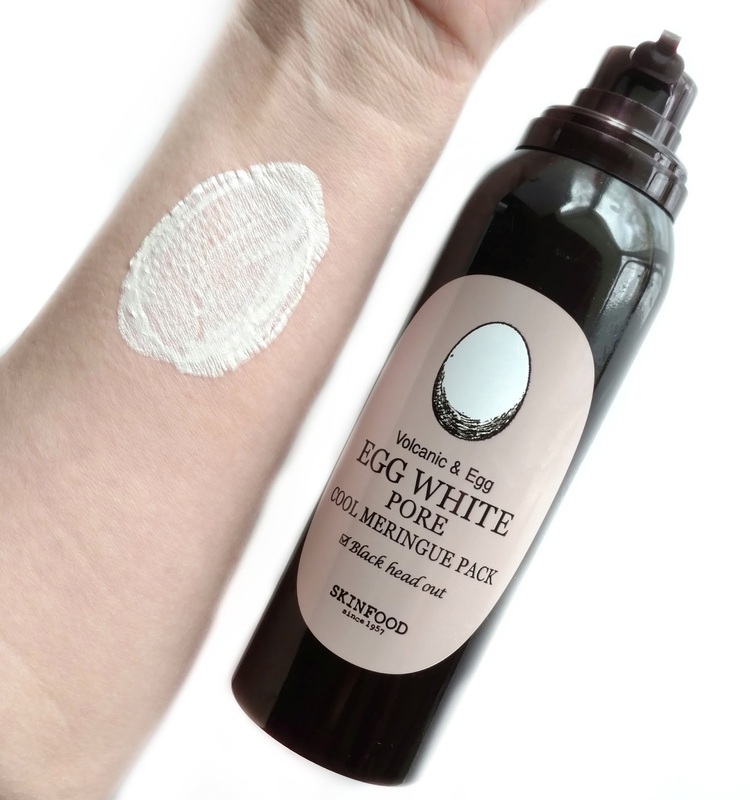 I have dry skin so usually I'm looking to add more oil in rather than remove it, plus I don't have any blackheads so I wasn't sure how this product was going to work for me. The first time I tried it, I decided to just focus it on my nose and cheeks since I do have visible pores in those areas. I applied the mask and after a few seconds I noticed a slight warming sensation that felt really nice. I left it on for about 5 minutes and right before I was ready to rinse, I massaged the grains in a little bit to help exfoliate my skin. Afterward, my pores looked less noticeable and I couldn't stop touching my face...it felt just like baby skin! This mask contains Kaolin Clay, Sulfur, and Albumin Extract to quickly and strongly absorb excessive oils and tighten enlarged pores. It also contains fruit acids to exfoliate dead skin cells, and argan & sesame seed oils to hydrate. This also has a fresh scent but I don't find it to be too strong or overpowering. It comes in a pump bottle and dispenses kind of like a hair mousse. 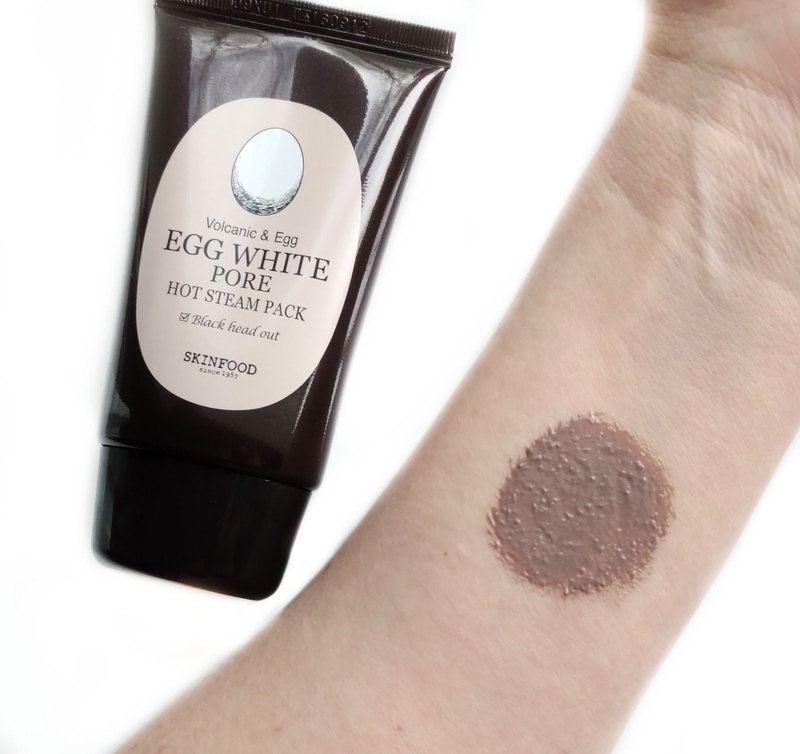 The product itself has a meringue-like texture and you feel a pleasant cooling sensation as you apply it to your skin. I applied it to the same area I applied the Hot Steam Mask to (my nose and cheeks) and this time, I also added some to my chin since I was having a hormonal breakout at the time. After a few minutes, it dried down and felt a little bit tight. Once I rinsed, my skin felt very smooth but also drier than it did with the other mask (it might have been the Kaolin Clay). The breakout on my chin did seem to resolve faster than it normally does, which I can credit to this mask since it's the only thing I did differently than usual. Overall, I will definitely continue to use the Hot Steam Pack on the areas of my face with visble pores because it has really seemed to reduce their appearance after several uses and I love how smooth and soft my skin feels when I use it. I'm not sure that the Cool Meringue Pack is suited toward my dry skin type, but if you're oily I think it would be a fantastic (and affordable) treatment to try if you have blackheads, breakouts, or just excessive oil production. If you haven't tried any of Skinfood's products yet, I highly recommend checking them out at your local Ulta store and Ulta.com. Their face scrubs are holy grail for me (see my previous reviews here). These look really interesting! I've been meaning to give this brand a try ever since you talked about their scrubs on your original blog. I have VERY oily skin and enlarged pores, and the Meringue mask seems like it might help soak up some of it and keep my skin more dry throughout the day. Thanks, love your blog! I like Skinfood's Cacao Hand Balm, but it's very thick and more of a night cream for my hands. Sure is great that Ulta's carrying more K-beauty. I'm always looking for products to reduce pores. I have found that just plain Witch Hazel works pretty good. These products do sound interesting. I will have to try them.